This year, the wellness world got a makeover. People started having more open and honest conversations about mental health, green beauty went mainstream, and CBD took over the world (that's only a slight exaggeration). All the while, as we called in last year's trend report, people embraced intermittent fasting, breathwork gained traction, big food brands acquired smaller health-focused companies (case in point: the recent news that Kraft acquired Primal Kitchen and PepsiCo bought Health Warrior), and we all started to realize that social media might be contributing to our anxiety. Building upon the progress we've made in 2018, we're predicting that wellness will only continue to become more accessible and earth-friendly this year. Another big theme on our radar—one that we explored during this year's revitalize event—is the blending of old and new. More and more ancient practices that have withstood the test of time will enter mainstream consciousness, and we're hoping this return to simplicity sparks a connection that's real and timeless in all of us. 2019 is sure to be another exciting moment in our collective wellness journey. To recap where we came from, check out our 2015, 2016, 2017, and 2018 reports. To see where we're going, read on. 1. Our recovery will get a high-tech makeover. At mbg, we've long emphasized the importance of recovery in a well-rounded movement routine, so it's been exciting to see slow fitness really take off over the last few years, in all of its foam rolling, magnesium-bath-loving glory. And as we continue to take recovery more seriously, gadgets will pop up to help us do so. In 2018, we watched as the TheraGun, a pricey handheld massage machine developed by a chiropractor, became the go-to tool to help people recover like the pros (Kyrie Irving was spotted using one during the 2017 NBA finals, which helped catapult the locker room tool into the mainstream). This year, celebs such as Michael Phelps and Ashley Graham told mbg that they swore by the machine; TheraGun shot up to its highest search traffic on Google; and other percussive therapy tools like TimTam and Hypervolt entered the market at slightly lower price points (TheraGun retails for $399; these come in at $199 and $349 respectively). Research continues to affirm that massage therapy helps improve muscle performance and increase range of motion after strenuous workouts, so the trend is backed by science as well as star power. "Consumers are looking for ways to make these recovery services a part of their everyday lives. Products like Theragun allow you to take the recovery tools home, getting percussive therapy muscle relief without having to book an hour with a specialist," Shom Chowdhury, the Global Health & Wellness Director of Soho House, speculates about the tool's popularity. "In 2019 I expect to see more consumers adopting to at home fitness offerings, which will ultimately expand the total addressable market for the industry." Looking forward to next year, we bet you'll also start to see a lot more gadgets like this popping up at your local gym, and in studios solely dedicated to recovery such as Upgrade Labs, a new fitness concept from Bulletproof's Dave Asprey that offers 15 treatments for improving mental and physical performance and recovery and claims to be the first facility to offer state-of-the-art biohacking equipment to the public. "Growth doesn't happen during the workout but during the recovery phase," says Upgrade Labs CEO Martin Tobias. "Modern recovery technologies use stronger signals like vibration, infrared light, targeted compression, intense cold, intense heat, powerful detoxification, and advanced nutrition to speed recovery and development." At Upgrade, which started in Santa Monica and will expand to Beverly Hills before the end of 2018, there are cryotherapy and infrared light beds, machines like Virtual Float Tanks to "drop your brain into a meditative theta-wave state, providing deep relaxation and clarity of thought," and treatments that specifically support brain training and recovery (another wellness trend mbg is calling this year). Over in New York, people are also playing around with new ways to tend to their bodies and minds. Tune Studio, which first launched at mindbodygreen's 2017 revitalize event, combines vibration and sound into recovery beds that can be booked for 15-minute sessions, each one using different frequencies to help you relax and recharge. And over at ReCover, the city's first studio solely for recovery, the most sought-after offering is NuCalm—a 30-minute immersive "power nap" that provides two to three hours of restorative sleep. 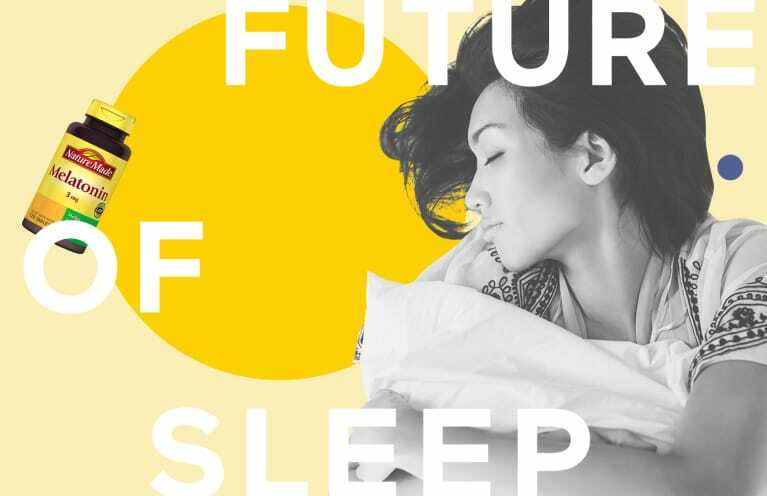 Co-founder Rick Richey says that this promise of shut-eye and stress reduction by way of technology appeals to more than just athletes. 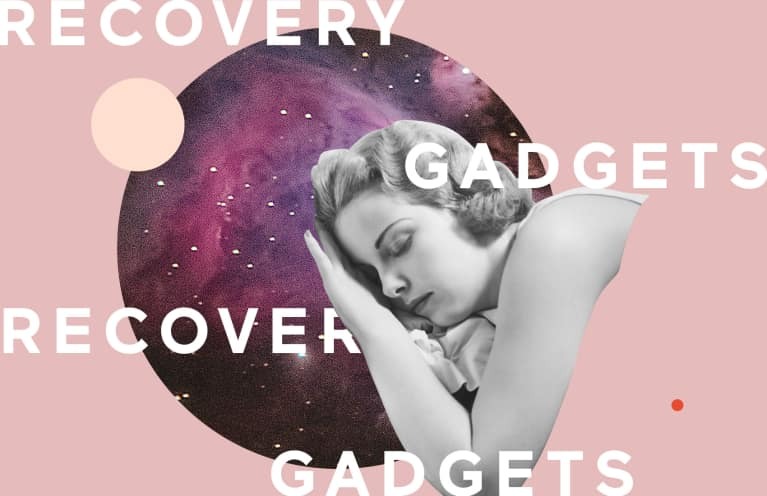 "Now we can see that recovery goes beyond athletic performance and can be used to help increase sleep, clear the mind, and de-stress," he tells mbg. "Most people think recovery is only physical. However, there is a huge mental and cognitive component as well." According to Brian Smith, the Managing Director at investment banking company Piper Jaffray, this focus on what he calls "intelligent recovery" will only continue in 2019 as more people seek new ways to satisfy their fitness goals that are safe, enjoyable, and convenient. 2. 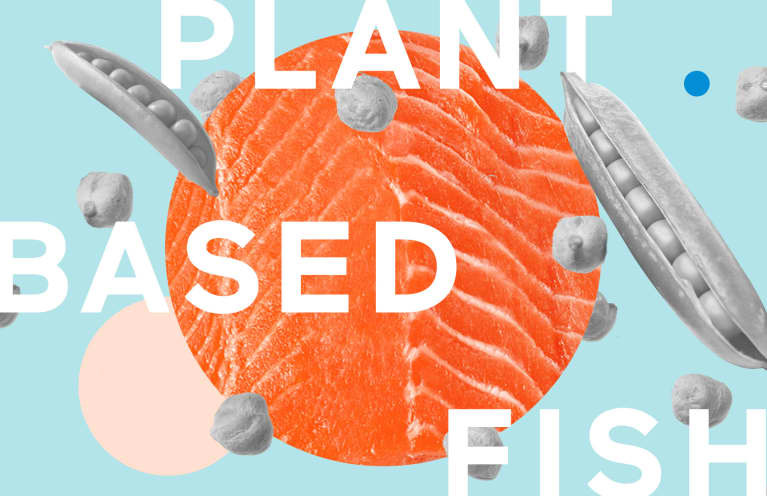 Plant-based fish will be the next alt meat to go mainstream. As we predicted, the plant-based meat market is now booming, with sales surging 23 percent in 2018 thanks to innovative companies with some serious backing behind them like Beyond Meat and Impossible Foods. Meanwhile, plant-based dairy now accounts for 13 percent of all milk sales. With chicken, beef, and dairy already transforming to keep up with consumer preferences (and the planet's demands), fish is the logical next candidate for a plant-based makeover. Sophie's Kitchen, an early plant-based fish provider, now offers nearly a dozen skews to appeal to different palates (think: "scallops" and "crabcakes" made from pea and potato starch). The brand, which sells in Whole Foods Market, Sprouts, and other health stores around the United States, reported that sales increased 72 percent between the first quarter of 2017 to the first quarter of 2018. New companies such as Ocean Hugger Foods and Good Catch are entering the market just as it heats up, serving up plant-based alternatives to raw and canned tuna respectively. Good Catch, which raised $8.7 million in its Series A Funding Round, sees enormous potential to bring a better product to health-conscious vegetarians and vegans as well as people with fish allergies. Their shelf-stable tuna fish, which will be sold in Whole Foods Market as well as on Thrive Market and FreshDirect (two of the company's investing partners) starting in early 2019, is made from beans and has 14 to 15 grams of protein per serving. It also contains omega-3s from algae oil extract and "matches up nutritionally to what you'd find in fish," according to co-founder Eric Schnell. For Schnell and the Good Catch team, this product is just the beginning of a push to introduce a new kind of nutrient-dense "fish" to the global market. "There are 300 marine animals that are fished around the world for consumption and only 30 land animals," Schnell says. "So the opportunity to disrupt the marine category is 10 times bigger than chicken, beef, and pork." Chef Chad Sarno, another co-founder, who was previously a chef at Whole Foods Market corporate, says that in a world where nearly 90 percent of the world's marine fish stocks are overexploited, there is tons of room to grow in this space—as long as you're putting out a product that tastes great. T.K. Pillan, a Managing Partner at a nutrition-centric equity fund PowerPlant Ventures, echoes the sentiment: "If awareness of the negative impacts of ocean fishing and contaminants spread quickly, plant-based fish could follow the plant-based meat market in its recent accelerated growth." 3. Understanding the circadian rhythm is the key to way more than just better sleep. By now you've probably heard of the circadian rhythm, also known as our body's biological clock. But did you know that this daily cycle has everything to do with two important hormones: cortisol and melatonin? 2019 will be the year that we all learn just how important the daily fluctuations in these two hormones—and the circadian rhythm in general—is to your health. Simply put, the hormone cortisol is supposed to peak in the morning, helping wake us up and make us feel alert and ready to tackle the day. Later on, melatonin starts to rise to encourage us to wind down at the end of the day. But when these hormones are out of whack, they can leave us feeling tired all day and totally amped when we are trying to get to sleep at night. If you can relate to this, you're definitely not alone. And the consequences extend far beyond poor-quality sleep. According to Satchin Panda, Ph.D., author of The Circadian Code: Lose Weight, Supercharge Your Energy, and Transform Your Health From Morning to Midnight, and a leader in the emerging science of the circadian rhythm, "When you don't honor this daily rhythm or let this cycle get out of whack, it can contribute to weight gain, diabetes, high blood pressure, and many other diseases." So what exactly throws off this important hormone cycle? According to Lynn Laboranti, M.S., R.D., a registered dietitian for Nature Made, one the "major driving factors" of sleep disruption is a symptom of our crazy-busy lives: the blue light from our screens in the evening. "When we're exposed to the light during the day, it suppresses the production of melatonin to keep us alert. But at nighttime, we might be exposed to light from our phone or computer screens, which can shut melatonin down and when we really need it to work for us to promote restful sleep," she explains. Beyond the gizmos and gadgets, simply getting out in nature can help regulate your sleep-wake cycle. This year, we learned it only takes one weekend of camping to reset the body's internal clock, and spending time outdoors, away from artificial light, can significantly rev up your body's melatonin production. According to Ellen Vora, M.D., a holistic psychiatrist and mbg Collective member and class instructor, this makes a lot of sense: "I recommend that my patients crawl into bed super early—even as early as 9:30 p.m. (although many of my patients are shocked when I first suggest this, thinking, that's not bedtime, that's practically dinnertime!). Many of my patients' insomnia, anxiety, depression, bipolar disorder, and ADHD improve significantly with this earlier bedtime. The reasoning is that the human body functions best when it's in sync with the sun and the moon," she says. One of the most important things you can do to honor your circadian rhythm is maintain a consistent sleep-wake cycle. According to Michael Breus, Ph.D., a board-certified sleep specialist, "If there's one thing you want to do to improve your sleep quality, it is keep a consistent sleep-wake schedule—even on the weekends. Why? Each morning when you wake up at the same time, you get sunlight through your eyes, which helps reset your circadian rhythm. This reset impacts every organ system and every disease state. In addition, your brain then knows when to fall asleep and when to wake up, and this allows your sleep cycle to become more efficient, and increase deep sleep." Amy Shah, M.D.—an integrative medicine doctor and mindbodygreen Collective member—makes a point to do this every single morning. "Getting that morning sun before 10 a.m. sends signals to your suprachiasmatic nucleus in the hypothalamus and resets your brain. And the benefits of this extend beyond sleep to better hormone regulation and overall health," she explained. In 2019, we'll continue to learn more about how to live a life that supports this cycle, which could very well bring our energy levels, productivity, and mood to a whole new level. We have a circadian clock in every single cell in our body, so it's not just about restful sleep (although that's important!). It's about getting in touch with our body's natural intelligence and learning to honor it. 4. 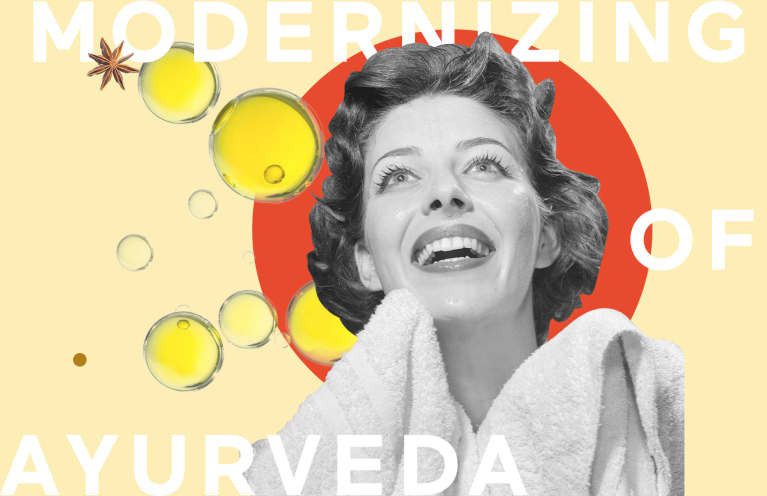 The ancient art of Ayurveda will get modern—and ubiquitous. We've been reporting on the ancient healing system of Ayurveda for years, and the 5,000-year-old holistic health system, Sanskrit for "knowledge of life," has spurred other trends including our obsession with turmeric and kitchari cleanses. In 2018, though, it exploded into public consciousness via a new embrace of healthy mitochondria, the ketogenic diet, and other fat-friendly approaches to food, which led to the emergence of ghee as a cooking staple. Ghee is a fixture in Ayurvedic cooking, made from butter that's had the milk solids removed. Brands like Ancient Organics and Fourth & Heart have found shelf space at Whole Foods Market, yes, but also Safeway and Stop & Shop, which means it's now easier than ever for people across the country to add a dose of Ayurvedic goodness to their lives. Hollywood has been huge in bringing Ayurveda to the mainstream, with a number of celebs trying—and subsequently sharing on social media—the Ayurvedic cleanse called panchakarma. The panchakarma (which includes a specific diet, herbal regimen, oil rituals, and enemas) has gone from a fringe, crunchy detox to the program of choice for Hollywood's elite. Surya Spa, located in the hills of Pacific Palisades, is their home base. Busy Philipps, Kate Hudson, and Liv Tyler have all been spotted there. The spa, which looks and feels like a posh, eccentric aunt's house, treats people for the weeklong traditional panchakarmas as well as abridged one-day versions where the busy but wellness-minded can pop in for a doshic tuneup (doshas are, in Ayurveda, the governing principles of the body; you're typically vata-, pitta-, or kapha-dominant, although that can change over time and in relation to your surrounding environment). Outside of Hollywood, a number of other brands and public figures have made Ayurveda more accessible to everyday people in 2018. This past year, we saw the release of mbg Collective member Jasmine Hemsley’s cookbook, East by West, and Ayurvedic-influencer Sahara Rose's Eat Feel Fresh. Gaia Herbs sells ready-to-go Golden Milk, so consumers can quickly, easily create the Ayurvedic staple at home. Pukka Herbs, a longtime favorite around mbg's office, makes hard-to-find (and harder to pronounce!) Ayurvedic herbs like triphala, amla, shatavari, and holy basil, simple to brew up in a cuppa with their teas and supplements, formulated by a master herbalist to eliminate the guesswork. 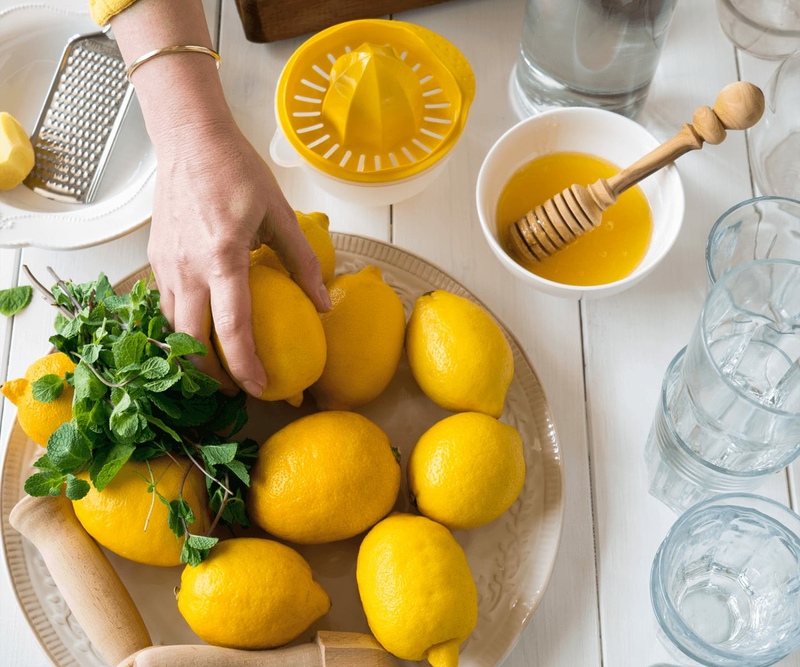 "Ayurveda is going through a renaissance right now because people are becoming increasingly aware of the mind-body connection," explains Sahara Rose, the author of the newly released Ayurvedic cookbook Eat Feel Fresh. She also thinks that it's a natural next progression from the personalized nutrition movement (a former wellness trend). "People are observing that a diet, meditation, exercise routine or self-care practice that one friend swears by may totally not work for them, and that even foods and practices that worked for you last season may not work for you today. We are becoming more in tune that we are ever-changing entities, and this is the premise of Ayurveda." As consumers veer away from fad trends, seeking instead reputable, science-backed forms of alternative healing, Ayurveda's popularity will only continue to grow. "Ayurveda is the true science of life because it measures well being in terms of qualities of experience," wellness icon and mbg collective member Deepak Chopra, M.D., FACP says of the healing system's transformative power. 5. Money talks will no longer be off limits. It's official: Financial stress takes a major toll on our well-being. A recent study in Psychosomatic Medicine found that adults who had financial stressors in their lives reported greater psychological distress and lower levels of psychological health—an idea mirrored in AgeProof by Michael Roizen, M.D., who was recently featured on mbg's podcast. 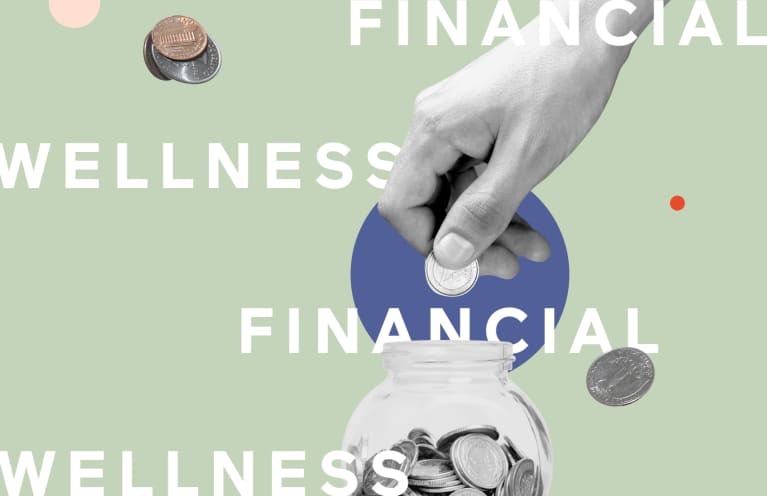 According to Amanda Clayman, LCSW, Prudential’s financial wellness advocate and certified financial therapist, concerns about money can actually send the body into a fight-or-flight response, which only makes things worse. "To our brain, a negative bank balance evokes the same response as a hungry lion," she says. "The prefrontal cortex, which is in charge of tasks like taking in information, analyzing options, and predicting consequences, is literally offline. When our brain and body are flooded with cortisol and adrenaline, we are likely to rush into premature, uninformed decisions." It makes sense that many of us get stressed about money, given that financial literacy is a skill that we weren't taught in school. According to Prudential's 2018 Financial Wellness Census, which surveyed more than 3,000 U.S. adults between the ages of 25 and 70, more than a quarter of Americans have skewed perceptions of their financial health (i.e., they think they're in better or worse financial shape than they actually are), with women, minorities, and millennials being the ones that feel the most financial worry. For these groups in particular, talking about money can be a source of empowerment. "They may have stopped even looking at their bills, or they may have given up hope of ever resolving their ongoing money argument with their spouse," Clayman says of the people who usually stop by her office. "Avoidance may help alleviate stress in the short-term, allowing us to compartmentalize and focus on other things, but it usually compounds the problem and makes it worse." Another recent study from Northwestern Mutual found that financial stress can also put a damper on our relationships and social life, with about one in five Americans saying they have financial disagreements with their significant other at least monthly. Clayman notes that more people started talking about the important role finances play in overall health after the financial crash of 2007, and the dialogue has only continued to strengthen from there. Today, financial institutions like Prudential, Chase Bank, and Visa have programs and platforms in place to help consumers improve their health by way of their finances through taking steps like starting a savings account or contributing to their 401(k), while new banking options like Chime (which is now acquiring more customers each month than Wells Fargo or Citibank) and Empower are offering people an easy and fee-free way to open a bank account online and get their financial lives in order. Financial wellness programs for employees are also gaining traction. Take SunTrust International, which now gives workers $1,000 and a paid day off to get their financial lives in order. Alexa von Tobel, the founder of LearnVest and author of Financially Fearless, has seen how conversations about money can quickly turn into so much more. "Rather than just being about dollars and cents, an honest money conversation can provide a much more intimate reveal of financial beliefs and values," she says. "The discussion can and should eventually lead to your biggest dreams, hopes, and fears." 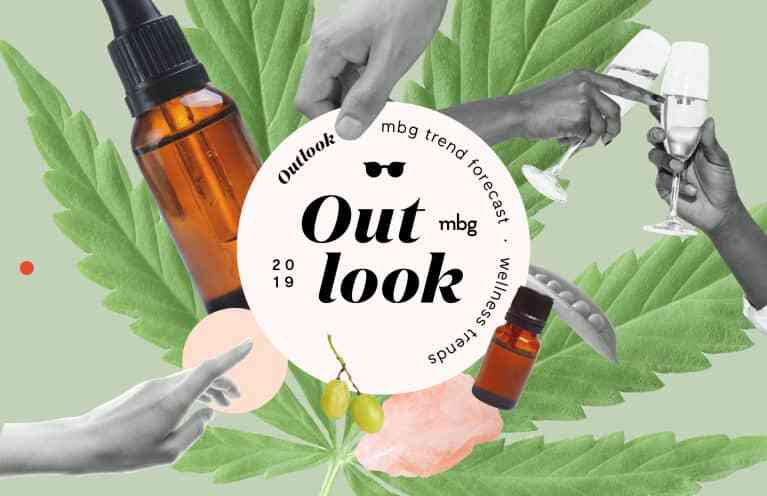 We're predicting that this is the year that as corporate initiatives are met with grassroots campaigns to start a dialogue around financial wellness (such as mbg's new series Well Spent), the floodgates will open on honest, constructive conversations about the role that money plays in our health and beyond. Who's up for talking about life insurance over a matcha? 6. Regenerative will go from buzzword to full-blown movement. This October, the United Nations doled out an ominous warning about the future of our planet: Basically, if we don't find a way to reverse carbon emissions in the next 12 years, the world could be damaged beyond repair. It's a crucial time for our environment, and we all need to step up and support initiatives that don't just do less bad, but more good. That's where the regenerative movement comes in. In short, when farmers grow using regenerative techniques, they return nutrients to soil that can help it absorb carbon dioxide from the atmosphere. It's a shift our farmland desperately needs right now. "In 2014, soil scientists estimated that a third of the world's topsoil had already been lost and that it could be completely gone by 2075," explains Brittany Szczepanik, senior project manager of sustainability, field services, at NSF International. "Regenerative agriculture represents the next frontier for building healthy food systems and combating climate change." 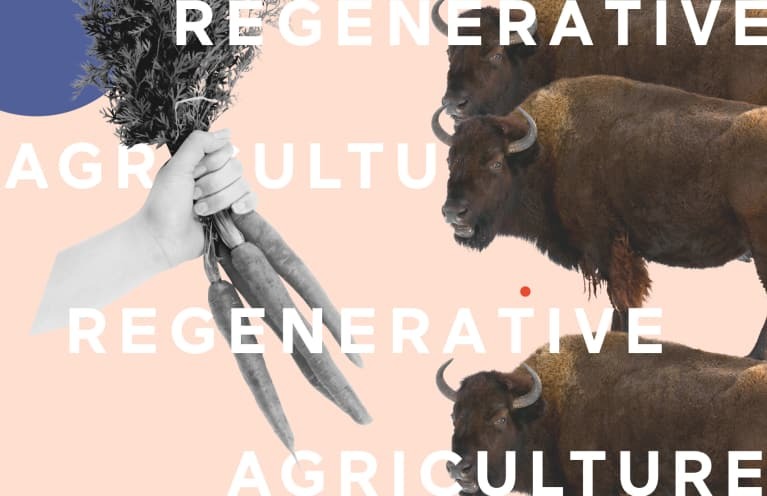 Regenerative practices were first popularized in the food world, a pattern that mbg called out in our 2018 Food Trends report. "We have tons of momentum right now on this regenerative movement," Katie Forrest, the co-founder of EPIC Provisions, which serves 100 percent grass-fed meat products grown using regenerative practices, recently told mbg. The fervor that's building for regenerative agriculture is spilling over to other industries too. In addition to food companies like EPIC, Annie's, and other General Mills brands, Thrive Market, and Danone, personal care brands Weleda and Dr. Bronner's, and fashion retailer Patagonia are also using their platforms to preach the importance of the climate-friendly practice. "There are so many individuals, organizations, and companies coming together around regeneration. It is more than a concept now; it really is coalescing into a movement," says Josh Tickell, the author of Kiss the Ground: How the Food You Eat Can Reverse Climate Change, Heal Your Body. "As consumers become more educated on the benefits of plant ingredients grown on regenerative farms, we expect the demand for this approach will begin to percolate into the mainstream," adds Rob Keen, the North American CEO of Weleda, a natural beauty brand that has long sourced ingredients grown using biodynamic, regenerative farming practices. A recent survey found that 60 percent of those polled would consider purchasing regenerative products they knew were fighting climate change. There's a certification in the works to help them identify such products, called the Regenerative Organic Certification (ROC). NSF International is managing the creation of the ROC, and they've been heartened to see early interest in the program, which is set to launch a pilot in early 2019. 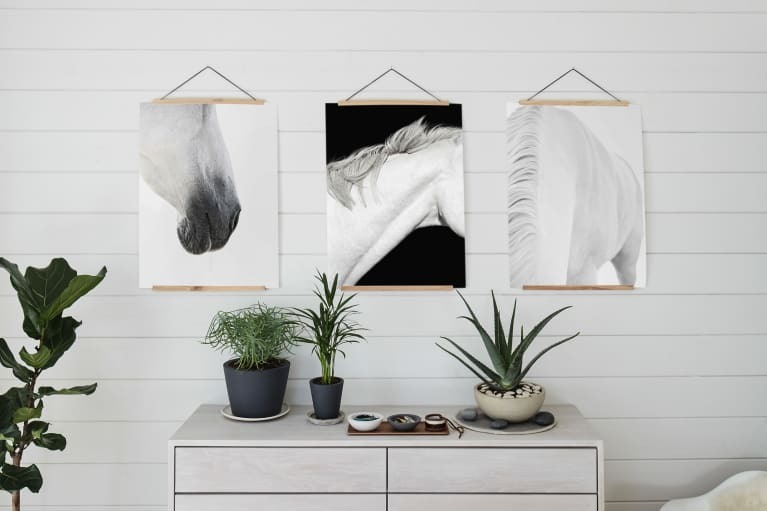 "[We] received over 80 applications from brands and farms to be included in the pilot phase, and many more have expressed interest since the application period has closed." As for where the regenerative movement will be in the next five years, Forrest predicts that it will be as well-known as the "organic" label is now. "I don't think that's good enough," she says. "We're certainly off to a decent start, but there's plenty of work to be done. We have to make people of all walks recognize the power regenerative agriculture has to impact their lives." With all this momentum building on a personal and industry level, we're hopeful that 2019 will become the year that we start talking about how we can regenerate our way toward a healthier future for all. 7. The endocannabinoid system will be as talked-about as the microbiome. In case you haven't noticed, hemp oil is majorly trending in the wellness world. Actually scratch that—it's majorly trending in the entire world. And in the upcoming year, we'll be hearing a lot more about the endocannabinoid system (ECS), which is the major bodily system that the compounds in hemp—including CBD—interact with. "Improving sleep, digestion, pain, stress—these are all already big businesses, Cannabis has the potential to be a completely novel approach to addressing these key functions," Chi-Chien Hou, managing director of AFI Capital Partners, a growth equity fund, says of the market's potential should science continue to come out supporting its efficacy. The Hemp Business Journal estimates that the U.S. hemp industry will grow to a $1.9 billion dollar market by 2022. So far, hemp oil has demonstrated exciting anti-inflammatory, anti-pain, anti-seizure, and anti-anxiety properties (just to name a few), but the science of the endocannabinoid system explains why hemp oil actually works. Beyond that, it might even explain why so many of us suffer from anxiety, inflammation, and pain in the first place. 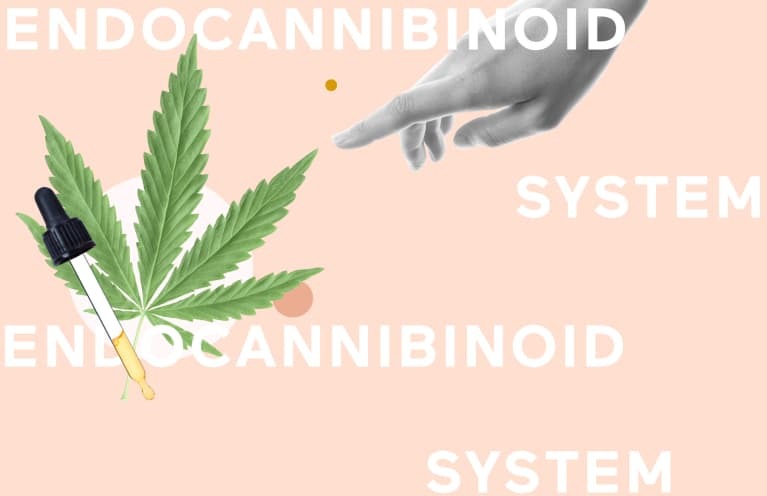 In fact, much like the microbiome, the endocannabinoid system has been shown to play a role in anything from anxiety and pain to fertility, mood, and even our weight. Interested yet? Us too. According to Martin A. Lee, the director of Project CBD and the author of Smoke Signals, "The endocannabinoid system is involved in regulating most physiological processes that have been studied: immune function, pain perception, glucose metabolism, blood pressure, bone density, intestinal fortitude, sleep, mood, memory, neuroplasticity, and much more. It's the reason cannabis is such a versatile medicine that can help so many conditions." According to Robert Rountree, M.D., a Functional Medicine pioneer and go-to mbg health expert, "The ECS is so wide spread that our growing knowledge is likely to influence how we think about many areas of health and disease. That said, there is a big focus on the brain because of the huge role the ECS plays there in everything from stress, to memory, to mood, to brain injury from things like stroke or trauma. Also of note are conditions that we believe are directly related to endocannabinoid deficiency: migraine, irritable bowel syndrome, and fibromyalgia. Finally, obesity and metabolic health are important targets for ECS research." "Only ten years ago, no one had heard of the human microbiome. New scientific research has resulted in an explosion in public awareness of how much the human microbiome influences all aspects of human health. The endocannabinoid system (ECS) is poised to follow a similar track—from relative obscurity to a position of great significance." He explained. In the future, assessing the health of this bodily system—something scientists refer to as the "endocannabinoid tone"—could be a way to measure a person's stress response. This could be big—not only because 31 percent of U.S. adults experience anxiety disorders at some point, but because stress exacerbates so many other common health issues (think: heart disease, GI issues, asthma, and headaches) too. Rountree has gone so far as to refer to the ECS as a "master regulatory system" in the body, and you can bet we'll be following along as more research comes out about the different ways we can optimize it. 8. The farm-to-table movement will make its way to the wine world. As consumers, we've become almost humorously conscious of the sourcing of our food—which is a good thing! Restaurants trumpet their grass-fed and pasture-raised meat, and organic and locally grown vegetables have never been easier to find. But the pervasiveness of well-sourced food only serves to highlight the huge blind spot in our penchant for healthier meals: wine. 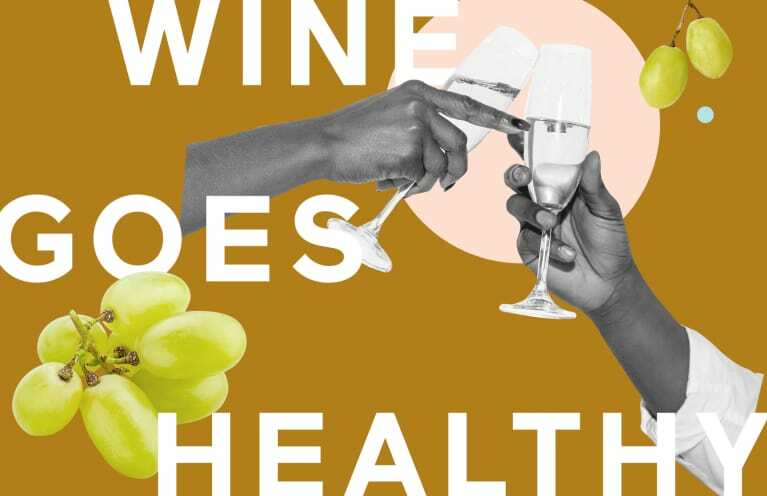 While the food world has been getting healthier and healthier, the vast majority of us are still swigging the equivalent of factory-farmed wine. Nonorganic wines come from grapes that have been sprayed with pesticides and contain a number of chemicals to stop fermentation, introduce tannins. "There's a laundry list of legally approved additives that can be used in winemaking—everything from colorants to tannin softeners to fish bladders—without any requirement to list them on a wine's label," explains nationally celebrated sommelier Dana Frank in her new book, written with Andrea Slonecker, Wine Food. Luckily, thanks to the convergence of awareness and access, natural and organic wine is set to become the center of the new vineyard-to-table movement. While natural wine is still a bit nebulous in terms of definition, it usually means that the grapes were grown without herbicides or pesticides in organic or biodynamic vineyards; following that, the grapes ferment on their own, with wild yeast found in the environment. No additives are used, except, in some cases, a small amount of sulfur for preservation. The RAW wine festival now hosts sold-out events around North America and Europe dedicated to introducing consumers to raw wine suppliers and educating them in an easy, relevant way (a topic at the recent Brooklyn festival was, "What's a pet nat, and why should I drink it?"). Founder Isabelle Legeron sees wine as the natural next step in the slow food movement. "I think that the reason it has taken wine so long to catch up is that unlike most food, there are no labeling rules for alcohol," she told mbg. "There are a lot of us in the industry who have been working hard to get the message out there for a while, so I think we've finally hit a turning point, as our little snowball, which started off slow, is gathering momentum and growing. The key now is to keep fueling the fire so that we can cause a permanent shift in the system." At the same time, the increasing ease of online grocery shopping has made niche wines far more readily accessible, with direct-to-consumer models enabling retailers to source from smaller, more exacting suppliers. Dry Farm Wines calls itself "the only health-focused, natural wine club" in the world and features an array of biodynamic natural wines sourced from family farms around the world, which they then lab-test to ensure low-sulfites and general purity. Online marketplace Thrive Market shook up the wine world this year with the introduction of their organic wines, all of which retail for under $20 a bottle. Natural wines are also a fitting torch bearer for mbg's You. We. All. philosophy—when wine is produced without chemical interference, it's not only better for our bodies but for the environment and the world at large. The ecological effects of the wine industry are now being considered more and more too; La Maliosa, an Italian biodynamic producer, recently became the first producer to measure their carbon footprint, in conjunction with the University of Siena. This trend is only in its nascent phases—its prevalence will continue to increase as the farm-to-table food movement did: with the enthusiasm and support of consumers asking for well-sourced product in restaurants and retailers. Legeron thinks a key part of the movement will be consumers demanding transparency in terms of labeling. "We need international labeling standards for alcohol that require growers and makers to be transparent about what they do," she explains. "The farming methodology employed should be clear, and any additives and processing aids used (including total sulfites at bottling, for example) need to be clearly listed on the label. Drinkers would then be able to accurately identify bottles and be empowered to be able to choose what they want to drink and what sort of farming they wish to support." Once consumers have all of the information, she believes it's an easy choice. "After all, if you can drink wine that tastes great, is farmed properly and made without using dozens of additives, many of which are questionable for health, why would you bother drinking anything else?" 9. Brain health takes center stage. 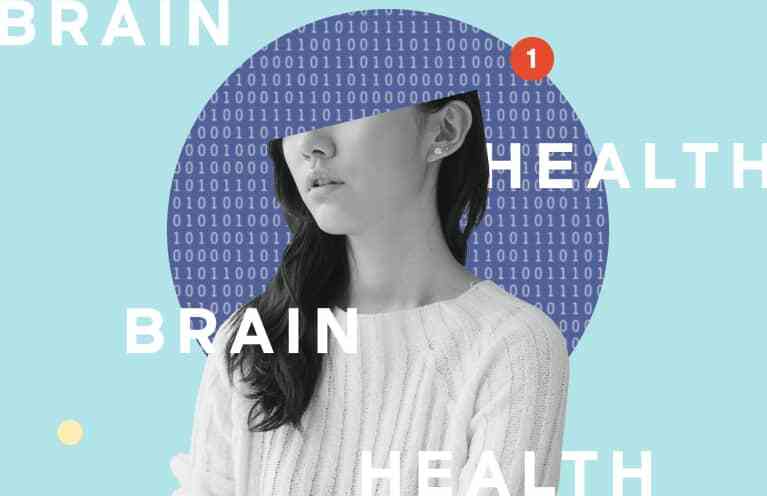 Poor sleep, an unhealthy diet, the pervasiveness of technology, airborne particles from your city's pollution...these are just a few of the many factors threatening our brain health every single day. And in reality, that list could sadly go on and on (and on). In the past year, we've seen an explosion in new information on brain health. Take Lisa Mosconi Ph.D.'s book Brain Food and the viral article, "The Cognition Crisis" by Adam Gazzaley, M.D., Ph.D. We've learned that brain fog isn't just in your head, what you eat and do affect your memory and focus, and your brain might just be the organ that suffers most from a poor diet. And then, there's Alzheimer's disease, one of the biggest threats to our long-term brain health. The reality is this: If we live to be 85, almost half of us will have Alzheimer's—making it the fastest growing epidemic in America. At revitalize 2018, we sat down with Dean Sherzai, M.D., Ph.D. and Ayesha Sherzai, M.D., directors of the Alzheimer's Prevention Program at Loma Linda University Medical Center, to talk about why Alzheimer's disease is even being referred to as type 3 diabetes. "Alzheimer's is the fastest growing epidemic facing the Western world. By the year 2050, the cost of this disease alone will overwhelm not only our health care systems but our entire way of living as we know it," they explained. So what's the connection? Mark Hyman, M.D., mbg collective member and Functional Nutrition Program instructor, explained to us that "Research shows that insulin resistance, which I call diabesity, is a major contributor to the brain-damage cascade, causing oxidative damage, cognitive decline, and other types of neurodegeneration." According to David Perlmutter, M.D., a neurologist and author of the New York Times best-selling book Grain Brain, "We've just learned two important things that are pivotal in the area of brain health. First, Pfizer, a global pharmaceutical company, has abandoned its efforts to develop an Alzheimer's treatment. And, according to the Journal of the American Medical Association, the currently available 'Alzheimer's drugs' not only don't work but are associated with more rapid decline in brain function. These two developments will lead to a dramatic increase in the public's awareness of the fundamental role of lifestyle modification as it relates to keeping the brain healthy and reducing Alzheimer's risk." It can all be very anxiety-provoking—so what can we do to prevent brain-related illnesses? For starters, we know that when it comes to brain health, nutrition is everything. As Lisa Mosconi, Ph.D., INHC, the associate director of the Alzheimer's Prevention Clinic at Weill Cornell Medical College and author of the book Brain Food, explained to us, "It's a simple and irrefutable premise: The brain receives nourishment strictly through the foods we eat every single day." So what does a healthy brain diet look like? There's still a debate over this—one that will likely continue through 2019—but Max Lugavere, health science journalist and author of the book Genius Foods, thinks that it starts with all the colorful foods you can get your hands on: Everything from "plant pigments like lycopene, beta-carotene, and zeaxathin to marine carotenoids like astaxanthin to the anthocyanins in blueberries and red onions." He explains that beyond being beneficial to the brain, these compounds help to "shield our eyes and skin against oxidative stress and aging." Beyond cleaning up your diet, making a point to learn new things (like say, a musical instrument or a sport) and connect to those around you can also help strengthen your brain. In a perfect example of the You. We. All approach to wellness, more science is now staying that if we want a healthy brain for life, we can't do it alone. And in order to start connecting with others, we first need to unplug from our devices and pull our faces away from the screens, which—spoiler alert—are also doing damage to our brains. According to Adam Gazzaley, M.D., Ph.D., a neuroscientist and neurologist who has studied the effects of technology on mental health for years, "Overexposure to information, rapid reward cycles, and multitasking can all take a toll on how we regulate our emotions, manage our stress, and allocate our attention," he says. So how can you avoid this? Connect to something bigger than yourself. "I find it increasingly important to take time off from technology to focus on friends, nature, and my own mind. For me, the best way to accomplish this is to take a deep dive into the beauty of our natural world. Coupling these with physical activity, like a long hike, takes it up a notch." At mbg, we have been talking about brain health for years—and our Collective includes some of the world's top brain health experts—but this year, we'll witness a laser focus on brain health that will actually change the way we live, eat, and spend our days. 10. Wellness will arrive in mainstream drugstores. At mbg, we're all about bringing wellness to everyone. But what does that really mean? For starters, health shouldn't be expensive, unsustainable, or only for the world's elite. So while we cover doctor-approved cleanses that support detoxification and facials with a three-year waiting list, we also love to spread the word about wellness practices that are cheap, easy, and accessible—like meditating, taking Epsom salt baths, and journaling. That's why this year, it excited us to find so many progressive wellness products in our friendly neighborhood drugstore. Chains all across the country—like Target, Walgreens, CVS, and Walmart—are now stocking their shelves with more and more mbg-approved staples, especially those tailored to gut health, immune health, and holistic women's health. Yep, brands like Dr. Teal's, Gaia Herbs, and 23andMe are now widely available online and on shelves, in the sightline of people who may have never heard of them before. 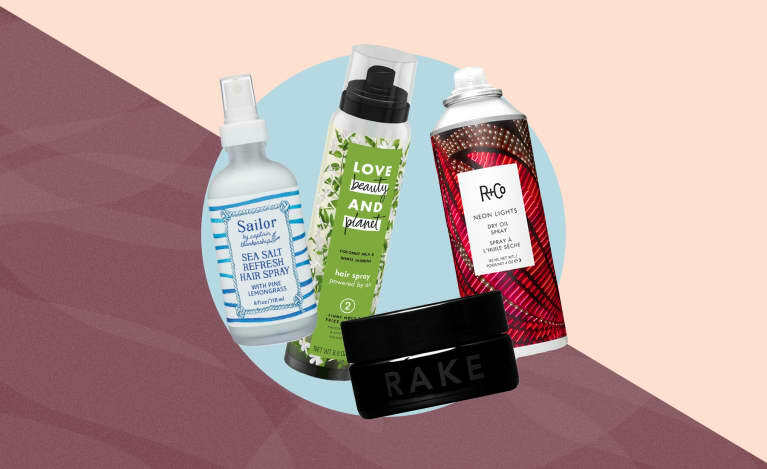 You can now shop for cleaner beauty and cosmetic products from brands like Burt's Bees and Tom's of Maine and baby products like Zarbee's baby cough syrup (made with agave syrup and thyme) and diapers and wipes from The Honest Company. Some of our favorite affordable health items—like witch hazel, apple cider vinegar, Epsom salts, and essential oils like eucalyptus and antimicrobial tea tree oil—are also becoming even more inexpensive and widely available nationwide. 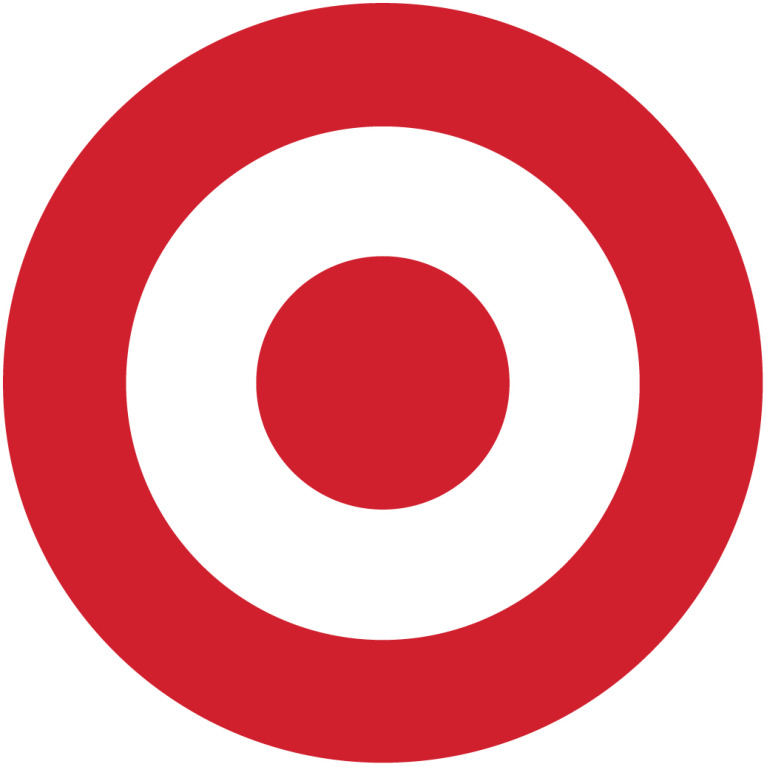 This is great news for the health of our country, seeing as eight out of 10 Americans live within 10 miles of a CVS, there are almost 2,000 Targets sprinkled throughout the U.S., and Walgreens has a presence in all 50 states, Puerto Rico, and the U.S. Virgin Islands. And when you look at the numbers, it's no surprise that these stores are welcoming wellness with open arms, as a recent report from the Global Wellness Institute shows that the $3.4 trillion global wellness market is now three times larger than the global pharmaceutical industry. 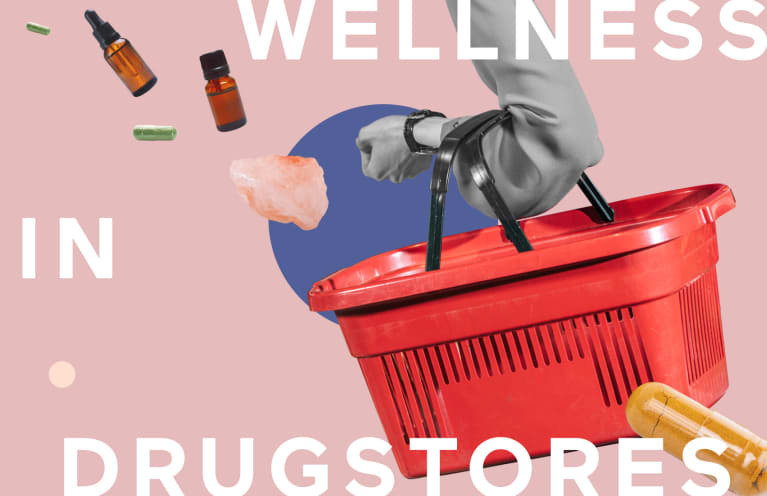 These stores have enormous power to bring wellness to areas that—unlike mbg's home base of Brooklyn, New York—don't have a juice bar or a Whole Foods Market on practically every corner. We don't know about you, but we think that's something to celebrate, and we can't wait to see more of it in 2019. 11. Snacking will head to the refrigerator aisle. Consumers are moving toward the refrigerated aisle to find fresher, more whole-food versions of their favorite snackable convenience foods. Perfect Bar has led the way, with what founder Bill Keith told mbg was a "13-plus-year overnight success story"—the first refrigerated protein bar on the market. "Since we came onto the scene, the fresh-snacking category has been built out by six packaged-product segments: refrigerated protein/energy bars, protein snack packs, drinkable soups, bottled smoothies, yogurts, and 'other' (hummus or guacamole with crackers/chips)," he explains. According to a study commissioned by the company, since Perfect Bar launched in 2005, there's been a four times increase in fresh snacking. Consumers are increasingly shopping the perimeter of the store, with 50 and 73 percent increases in the refrigerated snacks section over the past three years. More notably, the descriptor 'is fresh' is the No. 1 purchase driver for millennials and iGen, and on the retailer front, the fresh perimeter is growing 2.1 times the rate of the center store. Simply put, "If something is in the fridge, it has a different level of freshness," says Rachel Mansfield, an Instagram superstar who created the Perfect Bar-wrapper-crumpling meme. "People are more mindful of what they're putting into their bodies, and they want less-processed items with fresh ingredients," Jessica Cording, a registered dietitian, told mbg. "Fresh produce is something, in particular, that sometimes feels difficult to fit into a busy lifestyle, and I know that my clients find these types of bars appealing because they're a good in-between—they satisfy that desire to eat more fresh foods but are still convenient." 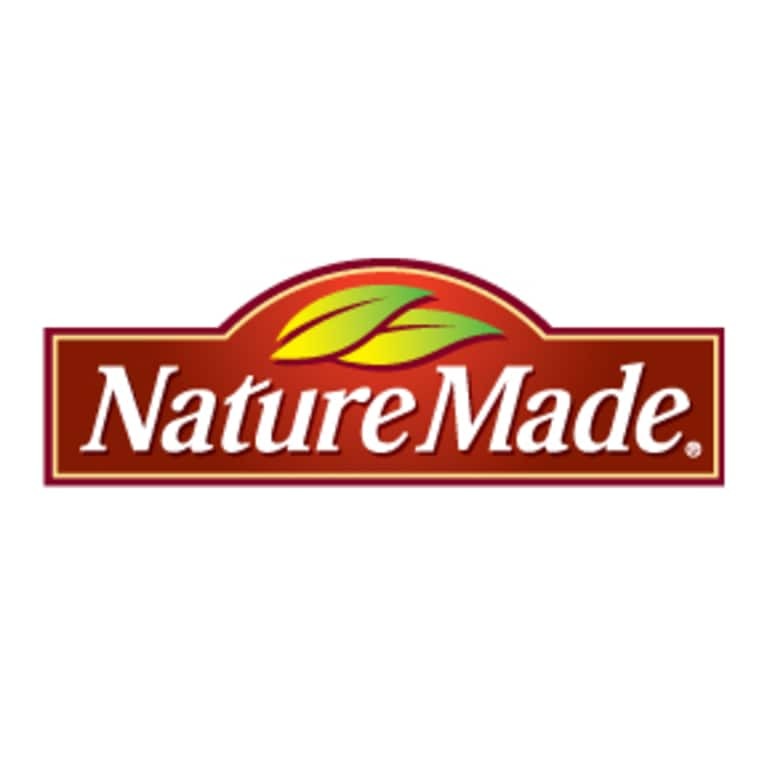 In 2018, PepsiCo got in on the game, with the introduction of juice and smoothie brand Naked's first line of snack bars. The three refrigerated bars feature real fruits and vegetables and contain no artificial preservatives. "As experts in fruits and vegetables, I'm thrilled we are bringing the convenience, nutrition, and taste we are known for at Naked into the chilled bar space," explains Becca Kerr, senior vice-president of Naked's North America nutrition, fruit, and vegetable portfolio. "Since it's not always convenient to fit fruits and vegetables into your daily routine, we're expanding our lineup, continuing to provide consumers with yet another option to make sure they are getting their daily dose of goodness." Phyter bars are another new entree to the market, with chef-driven flavors and 100 percent real fruit and vegetable ingredients. Ohi bars, from Hawaii, are another option, with fresh, bright flavors and simple, superfood ingredients. Another favorite of Mansfield's, brekki, has experienced strong growth with their overnight oats, which feature clean ingredients and come in creative flavors like Coconut Cardamom. Hail Merry is dominating the sweet category with their signature healthy tarts and cups, and they've just introduced a fresh-ingredient protein bar featuring sunflower protein. Blue Moose recently launched their On-The-Go hummus varieties, which feature freeze-dried carrots as dip for the protein-packed chickpea snack. Since the Amazon acquisition of Whole Foods Market and the rise of Instacart, which lets consumers order from a number of grocers near them, recently closing a $600 million round of funding (bringing the overall valuation to more than $7 billion), it's easier than ever for consumers to get their hands on fresh food rather than relying on older, slower delivery forms of dry packaged goods. 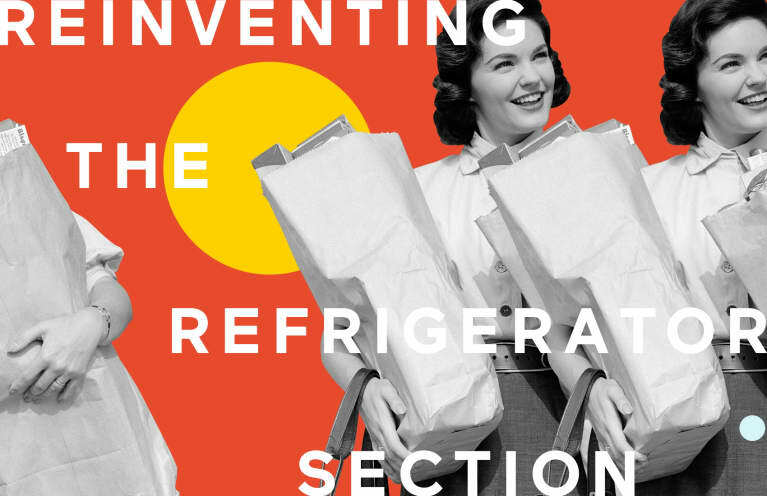 The refrigerated section simply allows brands to fit more fruits and vegetables into their snacks—and increasingly, that's what consumers are interested in. As for the future? Kara Cissell-Roell of VMG partners, an investment firm in the health food space, thinks we'll see an increase in plant-based foods with clean protein sources like beans and nuts; fermented foods and beverages like sauerkraut, kefir, and kombucha; and dairy alternative products like nut- and coconut-based milks, yogurt, butter, and even desserts. "Price point is a barrier today, but with scale and efficiency, I see a big addressable market for these offerings," she told mbg. "The demand is there."